The groundbreaking and blessing ceremony, which included George Takei hosting a live webcast, didn’t go quite as planned. It was disrupted by a peaceful protest of several dozen people who oppose the telescope’s construction. 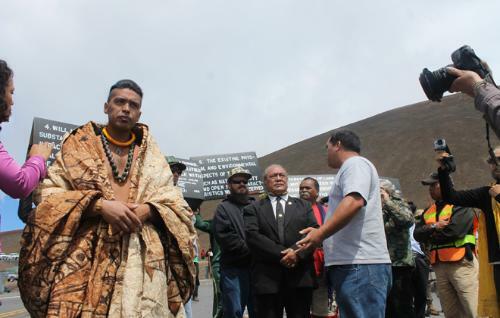 The protesters chanted and debated with attendees and held signs with “Aloha ‘Aina” (which means ‘love of the land’) and using TMT to spell out “Too Many Telescopes.” There has been a history of tension over what native Hawaiians say is sacred ground in need of protection and is also one of the best places on Earth to place telescopes. This is a longstanding issue, and the tension between them back in 2001 was reported in this LA Times article. According to Garth Illingworth, co-chair of the Science Advisory Committee, “It was an uncomfortable situation for those directly involved, but the way in which the interactions with the protesters was handled, with considerable effort to show respect and to deal with the situation with dignity, reflected credit on all concerned.” In any case, construction will continue as planned. The TMT’s science case includes observing distant galaxies and the large-scale structure of the early universe, and will enable new research on supermassive black holes, and star and planet formation. The TMT is led by researchers at Caltech and University of California (where I work), and Canada, Japan, China, India. Its optical to near-infrared images will be deeper and sharper than anything else available, with spatial resolution twelve times that of the Hubble Space Telescope and eight times the light-gathering area of any other optical telescope. If it’s completed on schedule, it will have “first light” in 2022 and could be the first of the next generation of huge ground-based telescopes. The others are the European Extremely Large Telescope (E-ELT, led by the European Southern Observatory) and the Giant Magellan Telescope (GMT, led by the Carnegie Observatories and other institutions), which will be located in northern Chile. Every ten years, astronomers and astrophysicists prioritize small-, medium-, and large-scale ground-based and space-based missions, with the aim of advising the federal government’s investment, such as funding through the National Science Foundation (NSF) and NASA. The most recent decadal survey, conducted by the National Academy of Sciences is available online (“New Worlds, New Horizons in Astronomy and Astrophysics“). 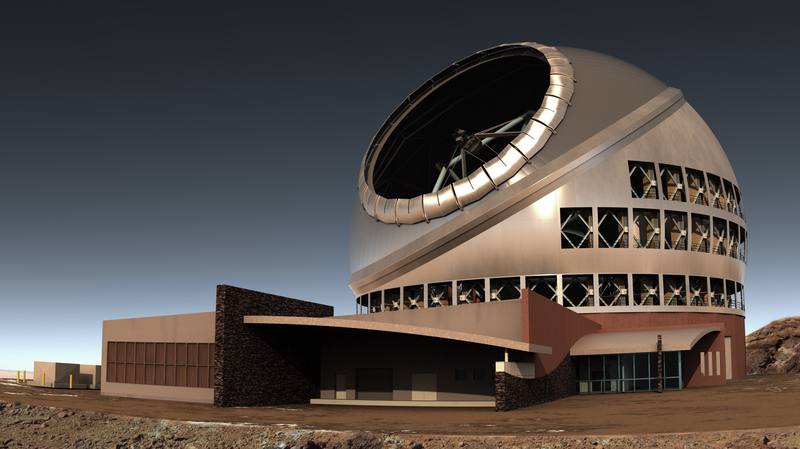 For the large-scale ground-based telescopes, the NSF will be providing funding for the Large Synoptic Survey Telescope (which I’ve written about here before) and the TMT. There had been debates about funding either the TMT or the GMT, but not both, though a couple years ago GMT scientists opted out of federal funding (see this Science article). NASA is focusing on space-based missions such as the upcoming James Webb Space Telescope (JWST) and Wide-Field InfraRed Survey Telescope (WFIRST), which will be launched later this decade. ← Is “Data-driven Science” an Oxymoron?